In the first phase until 2022, the production facility is expected to provide capacity for two million cells per year. This capacity is to be expanded to five million cells per year by the mid-2020s. 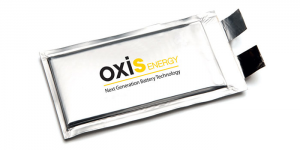 Oxis Energy had already hinted at the project in May 2018. Among the new investors recently announced by Oxis Energy is Aerotec Brazil, which is now Oxis’ second largest shareholder after Sasol South Africa. For the production facility in the state of Minas, the British received extensive financing from Aerotec a while ago in the amount of 3.7 million British pounds. The Aerotec fund is in turn integrated into the CODEMIG business development company, which Oxis now names as the contractual partner for the construction of the production facility. Meanwhile, the Li-S specialist with its niche know-how is a welcome cooperation partner. For example, Oxis Energy is a key player in the European LISA (Lithium Sulfur for Safe Road Electrification) project launched on January 1, 2019 and also manages the Lithium Sulfur Future Automotive Battery (LiSFAB) project, financed by Innovate UK, to commercialize sulfur-lithium technology for large electric vehicles.